Hello! An Altenew card and a video! It is new year eve right now for me! Getting ready for an Italian dinner and fireworks. 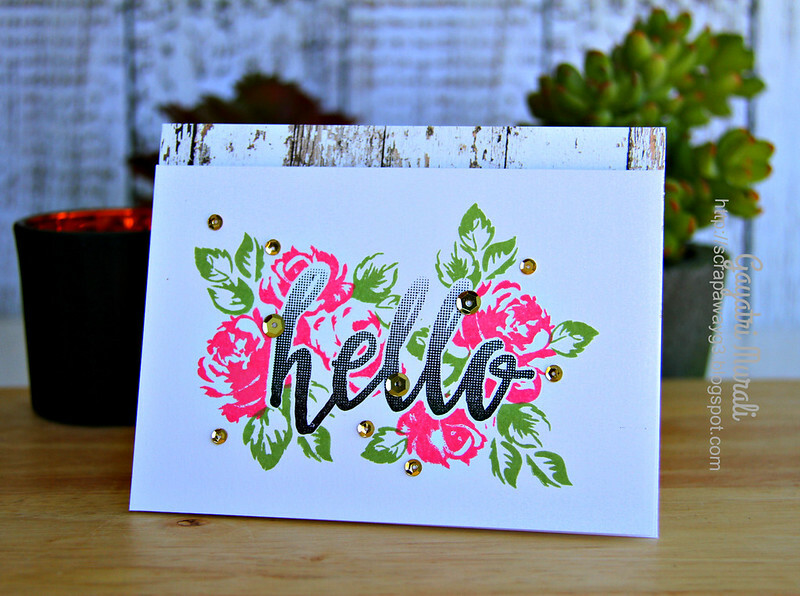 Before that, I wanted to share my new card using Altenew Stamp Set and dies. I also made a video of the card. But first here is the card. And here is the video of how I made the card. You can also watch my video on my You Tube Channel in HD. Hope you like my video. I also made two more similar cards. So now I have a set of three cards to pack and gift a special person. And here are all the three cards together. 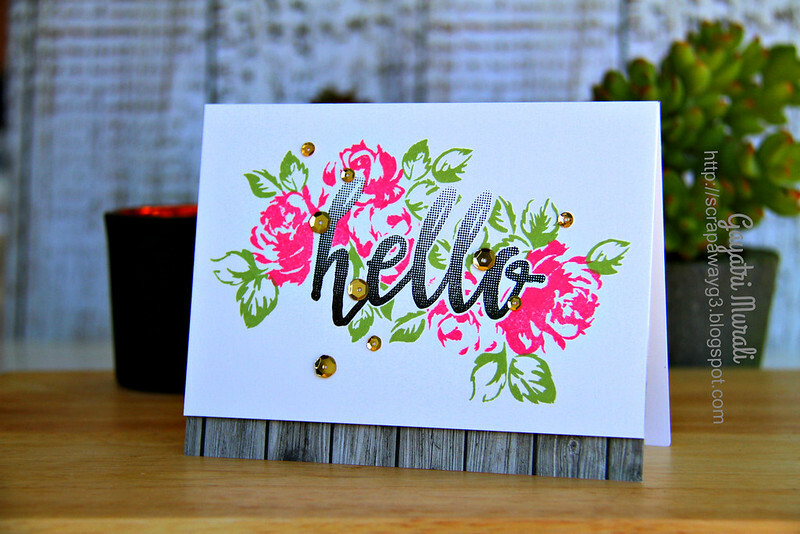 LOVE the colours against the white background with woodgrain pattern paper and gold sequins as accents. Hope you like them too. I am entering this video for Altenew’s Video Challenge #3! Wonderful and Happy New Year 2016! Lovely cards…thanks for the video.always love ur work. 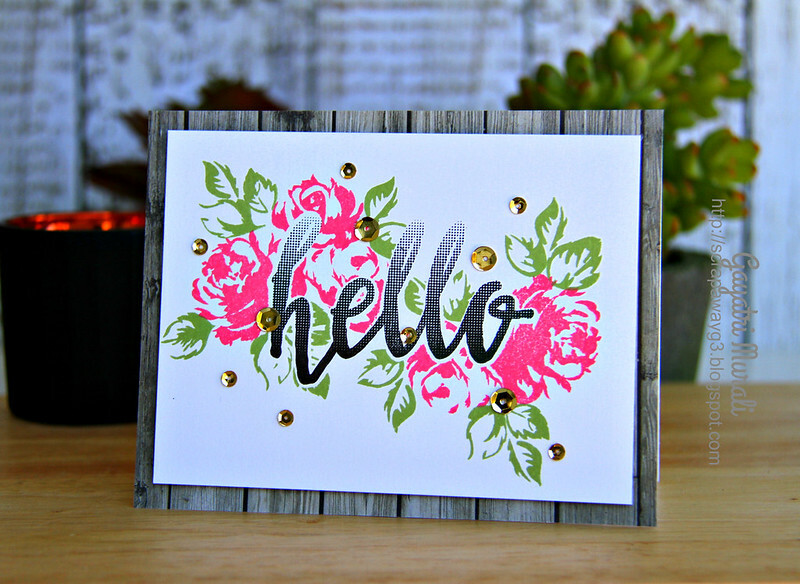 Love the bright pinks – they really pop and the addition of the woodgrain PP is perfect Gayatri. 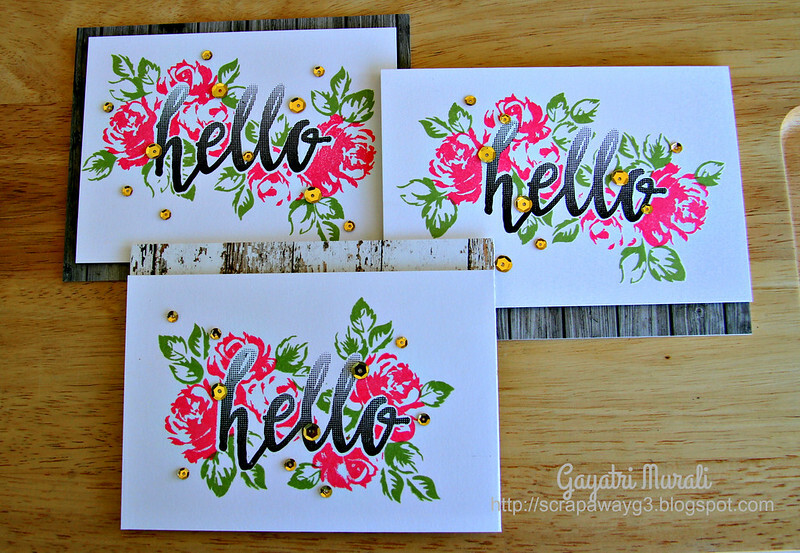 Such pretty cards, love the video too – very helpful, thanks!